With my Dear Jewish clients (David and Tzippora, Iva and Samuel) from New York, USA, on Patriarchy bridge with panorama of Moscow Kremlin and Moscow-River. � Arthur Lookyanov (ArtLook), all rights reserved. Thanks so much for the wonderful tour you provided for us. 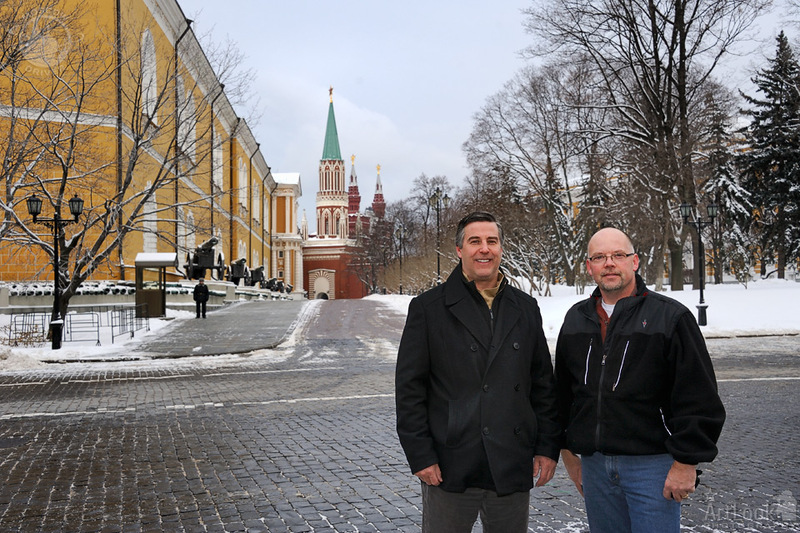 We were impressed with your detailed knowledge of Russian history and the sites around Moscow. Fascinating! We had a great day and also appreciate all the photos you took for us.